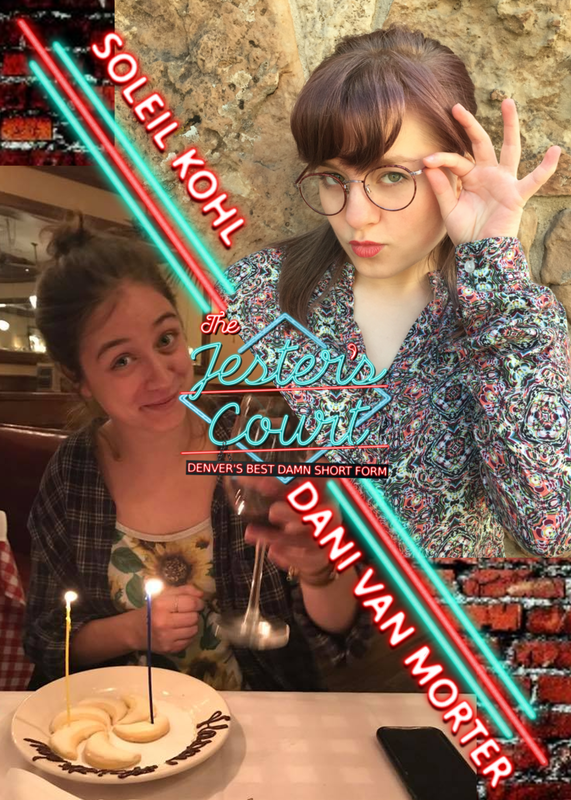 The Jester's Court takes the stage at our home theater - Voodoo Comedy Playhouse, ft. special guests Danielle Van Morter and Soleil Kohl! Featuring a cast of Denver's best comedians, and different guest stars every week, this is a night of live comedy you don't want to miss! Our short form improv show is loosely based off of Whose Line is it Anyway, except unlike that show, this one has a full bar! Everything is made up on the spot, and drinking - as well as audience participation, are both highly encouraged. Don't bring the whole family, leave the kids at home, and go out with adults for the best uncensored live comedy in Denver, Colorado! For a comedy show unlike anything you've ever seen before, check out The Jester's Court, March 23 at Voodoo Comedy Playhouse.